A small jump story-wise has brought Ka'asume home for the Vernal Regale. She's glad to be back in the Imperial City and is eager to see the friends she's missed while in Taj'erii. 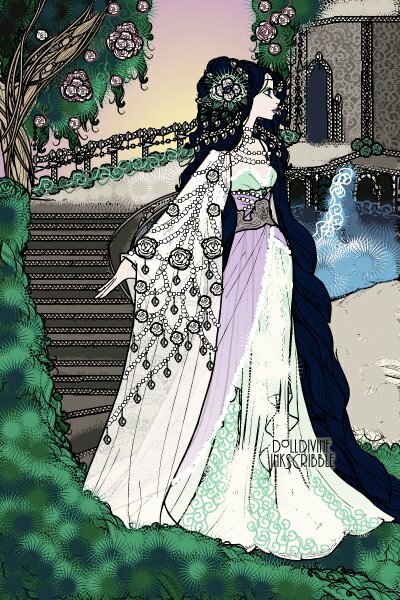 She is just gorgeous!The scenery is amazing,and I love the beaded detailing on the gown and hair! Sora, she's stunning!! And that background absolutely takes my breath away!! I just have no words for how adept you are with Erte!